Food allergies amongst pets have been growing in US dramatically. Pet parents are becoming quite aware of this and have started to provide extra care for their allergic pets. Being concern about the food allergies in pets, we celebrate Food Allergy Awareness Week. 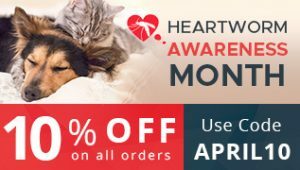 This campaign helps raise awareness of food allergies in pets and make pet parents aware about how important it is to learn about pet food allergies and take care of their pets. According to an independent survey conducted by peteducation.com it has been found that food allergies are most commonly found in pets with about 10% of all allergies in pets. They are responsible for 40% of itchy skin in dogs and more than 55% in cats. It has been observed that food allergies are not inborn in pets, but if a pet eats the same food over a period of time it can lead to allergy in your pet. Hence, there is a need to rotate the diet in such a way that your pet gets adequate amount of proteins of different brands and recipes so that they are free from food allergies. There are various benefits of rotating the pet diet. First and foremost benefit is that if you rotate the protein source in the pet diet, it can keep your pet not only healthy but also allergy free. The next benefit is that since you are rotating the food brands and recipes your pet will get diverse assortment of nutrients in the diet over time. If you rotate the food recipe and protein source quarterly it can help in reducing or in some cases eliminating food allergy from your pet. However, you need to keep a check on the food ingredients. For example; if you are giving chicken-based diet to your pet for three months read the label of the replacement food and ensure that it does not contain chicken. Another way of ensuring that your pet does not get food allergy is by giving them a special diet like hypoallergenic food. You can even cut down on dairy products, meat or animal products. If you give vegan food to your pet it can work wonders in eliminating food allergy problems. If you have decided to give special food to your pet it is recommended to take the help of your vet to decide on the best food for your pet. You can even try out gluten free diet to prevent food allergies in your pet. Gluten is a protein found in wheat, rye, barley and spelt. If you find that your pet is allergic to wheat or yeast then put them on a gluten free diet. This food allergy awareness week we recommend pet-parents to work with a vet to determine the best food for pets with allergies. It is always wise to consult your vet before giving any food, if your pet is allergic. Ignoring it, can lead to nutritional imbalance and you will never come to know the food that is causing the allergy.